that Captivate and Transform your Audience’s Lives. 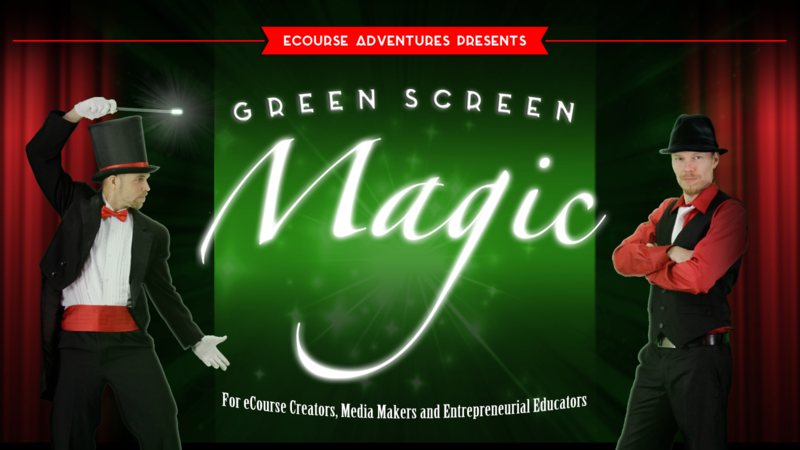 Register to Become a Bonified Green Screen Magician! SIGN UP TO LEARN MAGIC! 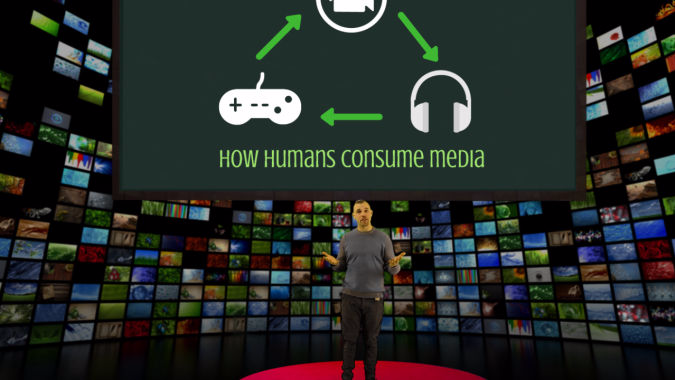 Humans don’t consume media how we did back in the 1990’s. This is why the dropout rate for online courses is somewhere between 70-97%. People get bored, distracted and then quit. This means eCourse creators, media makers and online educators need to get more creative by producing BINGE-WORTHY VIDEO LESSONS and online learning experiences. "At eCourse Adventures, we don't just make courses. We Create Worlds!" Understand how creative entrepreneurs, teachers and artists like you will shape the future of online education. Use your green screen to turn your eCourses into worlds & lessons into immersive learning experiences. Produce addictively good media, video lessons and eCourses that your Students or audience literally can’t get enough of! Be guided in the editing room step-by-step, so that you too can master the art of peforming green screen illusions. Understand simple lighting & sound tricks that make the worlds you’re creating more believable & engaging to watch. Feel more confident, polished and professional when presenting your work, point of view and processes on camera. Make more money with your online teaching biz by creating courses that students love, complete & share. Learn to produce the kind of media experiences that you would be both excited to watch & inspired to create. Tap into your creative potential and have fun producing courses that you're proud to share with your audience. Be the go-to leader in your industry by producing media that entertains, inspires and effectively teaches your audience. 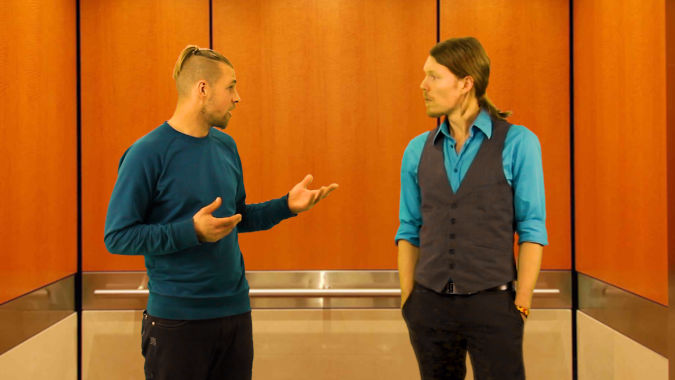 This course doesn’t just teach you about using your green screen. PRESENTER, PRODUCER, EDITOR & ENTREPRENEUR! The course is broken down into THREE LESSON MODULES (aka "ACTS"). • AND WHY YOUR WORK MATTERS! with YOU as the star of the show! 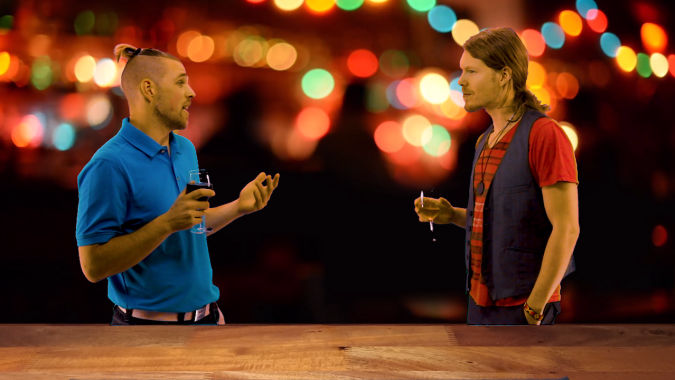 In act two, you bump into a familiar face at a networking event who asks you to tell your origins story. You will have 2 minutes to weave your past with your present and paint a picture of why you’re so passionate about the work you’re now doing in the world. 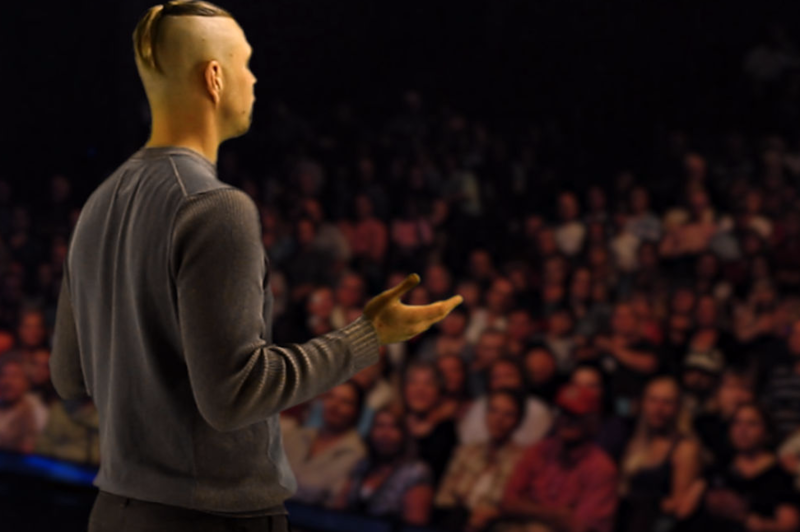 In act three, you will be on the big stage sharing your message with thousands of people from around the world. You will have 5 minutes to deliver your potent, powerful presentation that leads your audience to their feet for a standing ovation. Below is a short checklist to give you an idea of what will be required. We've chosen to teach you with the software we use (Adobe Premiere Pro). It is trusted by professionals all over the world. And don’t worry, we guide you through each step of the editing process. But if you prefer another software, just make sure it allows "chroma key" editing. You can not do this course on a your phone or iPad. Sorry. You need a laptop or computer and preferably one with a decent amount of memory and speed. You will need a non-Smart Phone camera to shoot on your green screen. Sound is also a really important element in making great media. So don’t use the mic in your camera, it won't give you the professional quality you want. 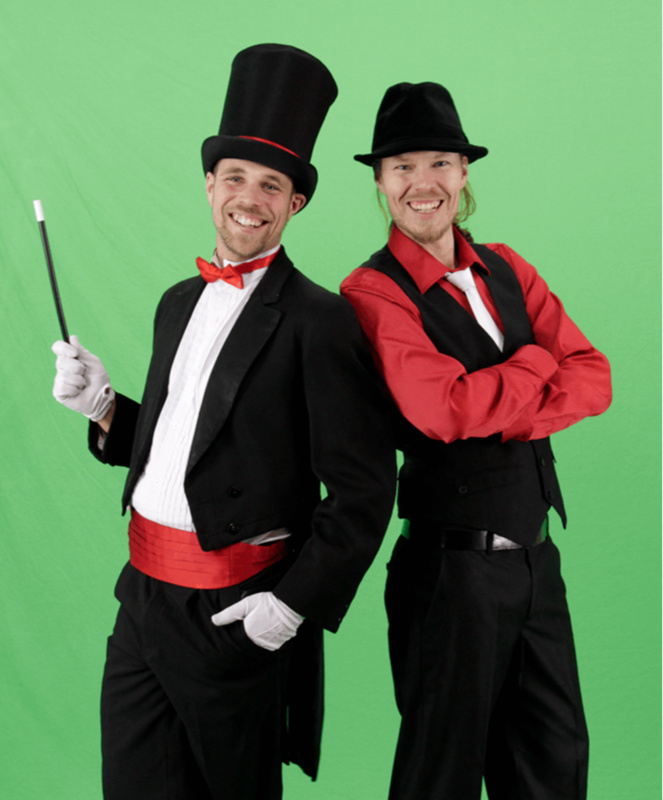 A green screen that allows for full body shooting is ideal. If you don’t have that much space or you already have a smaller green screen, then don’t worry. More important for performing illusions is having plenty of lights. Brad loves dreaming up the worlds his students (like you) get to learn inside of. He is a visionary eCourse creator, writer, coach, wanna-be actor and long time creative entrepreneur. He is excited to pioneer a new kind of media experience that takes students from being passive consumers of information to active participants in their own learning journey & transformations. You can explore more of his work at eCourse Adventures. Blair Francis Armstrong is the true magician on the team. 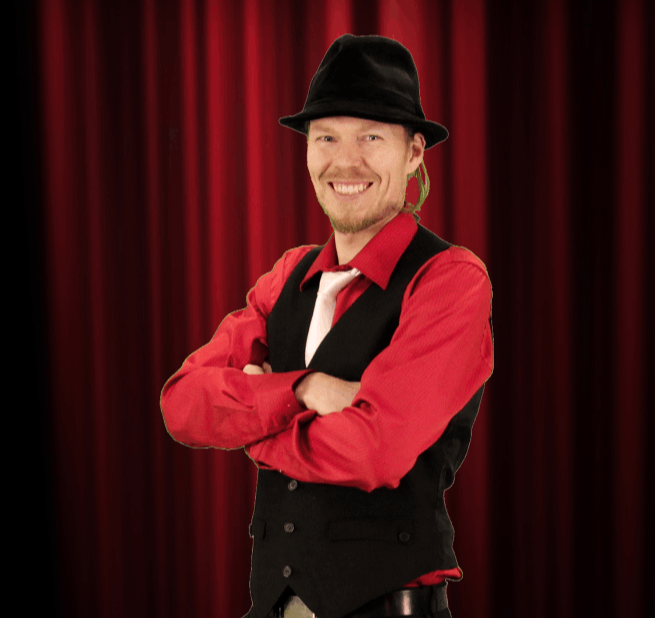 Working his magic behind the scenes, Blair's gifts for producing, directing, editing, music making & world creating come to life in the collaborative work he does at eCourse Adventures. He's passionate about merging art, entertainment, storytelling & education to bring in a new era for online education. Brad loves dreaming up the worlds his students (like you) get to learn inside of. He is a visionary eCourse creator, writer, coach, wanna-be actor and long time creative entrepreneur. 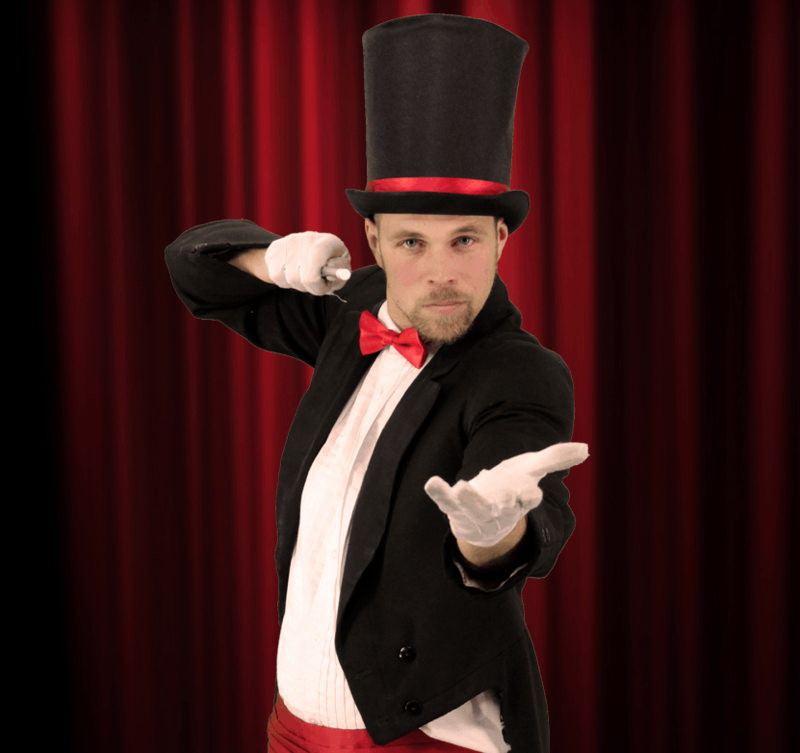 Blair Francis Armstrong is the true magician on the team. He's passionate about merging art, entertainment, storytelling & education to bring in a new era for online education.